Perhaps you have a favourite hill you often hike to. But what if that hill is really a volcano? Mount St Helens is one of the prettiest mountains in America. Walkers, climbers and skiers go there all the time. Hardly any of them know that this peaceful mountain has an explosive secret. Kaboom! Jessie Marlowe knows the mountain well. She can’t imagine its serene slopes turning deadly. 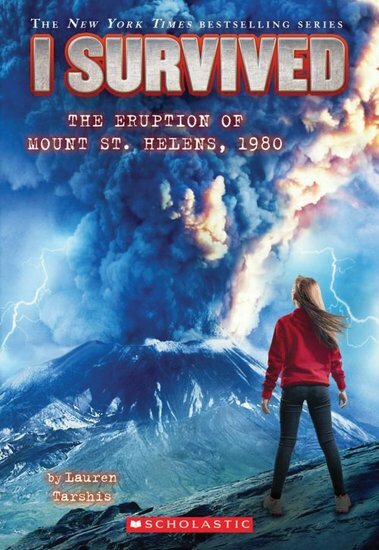 But on May 10th 1980, she’s trapped on the mountain when it erupts with terrible fury. Poisonous gas. Boiling lava rivers. Landslides, glacial ice and white-hot debris. It’s the worst volcano disaster in US history. Lots of people will die. How will Jessie survive…?